WARNING! The SMS spy applications detailed below are intended to be used only for private and legal purposes. They cannot be used for violating anyone's rights, spying or other illegal purposes. User of any of these spying software takes all responsibility for using these applications in any illegal use cases. Tired of cheating husband? Do you ever suspect your wife or girlfriend is making an affair? Do you suspect your kids are secretly buying stuff they're not supposedly getting? Ever wondered who's that someone trying to interact with your daughter? If yes, then, a remote SMS monitoring spy app for Android or iPhone is all you need. Below are some of the best and free and paid SMS monitoring apps that you can install on your iPhone, Android and even Symbian and Blackberry device. These remote SMS monitoring mobile apps allow you to remotely spy and monitor text messages, SMS of your cheating husband, kids without their knowledge. SMS Replicator, one of the most controversial applications for Android, does almost the same with SMS Monitor. It automatically forwards another copy of every successful text message, SMS sent. 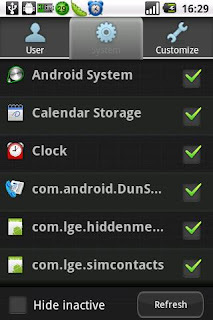 This SMS spy app works well with Android and can be used to spy on your girlfriend/boyfriend or kids or simply for fun. Simply grab the phone while they are taking bath. Download and install SMS Replicator for Android, configure it with your number. Once done, the app will run in the background and it will forward incoming messages to you. If successfully installed, this SMS remote spy app for Android has no icon so it is impossible to find on phone and will run on its own. The only way to reveal the app is to text the phone with your secret password. Just text "000" to the phone to open the secure settings and choose the forwarding number. In my test, it really worked like a charm and felt that uncomfortable feeling of guilt of being able to monitor whoever I want to track. So please use it at your own risk. SMS Replicator, being a controversial Android app, cannot be downloaded on PlayStore so you have to look for it on Google or other file hosting sites. I previously hosted it at 110mb.com but apparently the hosting site is already unavailable, and I don't have backup :( Sorry about that. UPDATE: I originally wrote this article back in 2011 so I can no longer vouch if Mobile Spy still works for iPhone, considering the often-updated, walled ecosystem of iOS. However, you can go give it a try, request a demo and see if it's what you need. However, the closest alternative I can think of to somehow monitor your kids is to use IFTTT and track every single snap without them knowing (no Jailbreak required). Follow this guide how you can Use IFTTT as a spy app to secretly copy, collect iOS photos on iPhone, iPad. Mobile Spy is your ultimate solution for remote mobile spying needs. This is a subscription-based app, with great handset support, and comes with advanced remote monitoring functions. Mobile Spy uses the Internet capabilities of your phone, records your text and call activities, and logs your GPS locations. All data are then quickly uploaded to your Mobile Spy account so that you can monitor the activity of your cheating husband or kids via web. To download, visit Mobile Spy website. Your two timer husband is less likely to make the same crime again if you install SMS spying/monitoring app on his phone. If you manage a business, your employees are less likely to abuse their SMS privileges. This is one of my favourite apps back in Symbian days (Nokia) so if you have old Symbian device lying around, you can use below's app. Otherwise, you can skip this part. SMS Monitor is a powerful tool for remote sms-monitoring. It was purposely created for security audit and parental control. You'll be able to read every single text message/SMS being sent and received. SMS Monitor perfectly works on any s60v3 and s60v5 Nokia Symbian handsets. Download, sign and install the app called SmsMonitor.v1.0.sis, just google it. Remember to install the app to your kid or husband's phone (of course, do it behind closed doors). After installation the application starts in hidden mode. To prepare it for work, just grab another phone -- your phone (not necessarily Symbian) and text "set admin" (without quotes) to your kid or husband's number. The message should be received and deleted automatically. If successfully installed, you should receive all inbound and outbound SMS/text messages being sent or received by your husband/kid. If you know any other remote SMS spy app, please email me (or comment below) and I will update the list. Forgot to bring your phone? Left your mobile phone at home, at work or anywhere in an unsafe place? Good news is: there's a FREE app that can remotely lock, disable your phone by simply sending an SMS text message using another phone, thus making your "forgotten" phone a lot useless to whoever finds it -- be they your mom, dad or girlfriend/boyfriend who might take the time to open your phone's inbox and browse through your phone's contents without you knowing. Think the app uses the old method of connect-to-the-internet first before it does all the work? It's a hell no! Meet Lost Phone (link), yet another cleverly useful utility app for the Android that can smartly lock, and password protect your lost/forgotten Android phone. You just have to send an text message with predefined SMS command. As soon as your "forgotten" phone receives the message, it instantly launches the app, prompting you to enter the password. 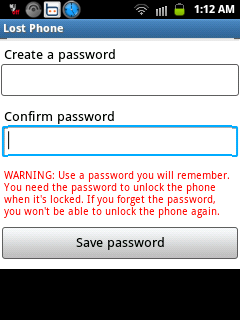 There's no way for almost anyone to operate and view all contents on your phone unless they enter the correct password. 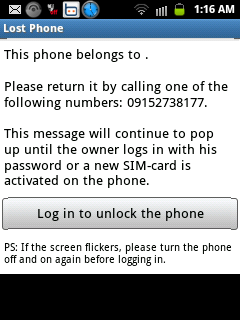 Send an SMS and lock the lost phone with a password. Locate the phone by SMS. If a new SIM-card is detected, it locks the lost phone and sends SMS to your friends from the new number. I've been a long time user of quite a handful of remote locking apps cluttered in the Android Market. And yes they're all great but the way they operate is not quite impressive. I like the simplicity of Lost Phone as there's completely no need to activate phone's packet data before you can see things in action. Lost Phone requires no internet connection. Rather you just have to send an SMS text message to the lost or forgotten phone. Download Lost Phone from Google Play Store HERE. Have you ever gotten tired of manually opening/launching your favorite mobile apps during startup? If yes, well, then, you're not alone! I have few too good applications installed on my phone. Light Control for example is my power-saving app that can smartly shutdown unused keypad lights, thus prolonging the life of my battery. JB Taskman is yet my favorite task manager app that can quickly kill unresponding apps and show hidden operations inside your phone. On top of these apps, I also have Voice Inbox installed -- a smart application that can automatically take phone calls whenever I'm busy or I'm asleep. Those are just some of my favorite apps, and I can't afford to carry my phone without them running. And sure you have your own "favorites" too. Yes? While it's never necessary to automate the launching of these mobile apps during initial startup, you'll love the convenience if you can just let your phone auto-run those apps for you. Here we are going to explore another breed of applications that can automatically run, open certain applications installed on your phone. These autorun managers are designed so you don't have to manually run a dozen of applications each time your smartphone is being rebooted. ExeMaster is a wonderful creation of Verysoft that allows you to automatically open, run certain applications during startup. Simply add all software you wish to be launched automatically, and then switch them on! 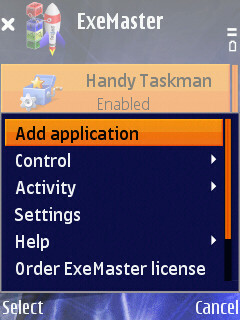 The simple and handy interface of ExeMaster gives you the option to hide or minimize the auto-launched applications. Download exeManager for Nokia Symbian s60v3 (SIS) here. Startup Manager for Android gives you the control over what Android applications to start and what not to start. This incredibly useful Android application works almost similar to exeMaster, only that it can do more than just auto-execute certain apps on startup. As with exeMaster, Startup Manager lets you specify third-party apps you wish to be automatically executed once your phone is turning on. Add to that, you can also disable startup apps, and auto-kill those autoruns which could potentially bog down your phone during startup. Get it here. (Please note that Startup Manager for Android has limited handset support). Have you ever found yourself in a situation where you feel harassed because of a stranger who tirelessly sends you unsolicited text messages? Are you annoyed by a text scam that gets delivered on your inbox? Nobody wants text scams, and so with spams. If you're constantly annoyed by this type of mobile activity, it's best to report them to telco commission. But before you do, let's teach these spammers a lesson first -- flood them off using FREE SMS Bomber apps! What is SMS Bomber and what does it do? An SMS bomber application (also known as SMS flooder) is a special kind of software designed to automate the sending of SMS text messages to a specific number. With an SMS bombing app, you can stop anyone from spamming at you -- be they your friends who find joy in sending prank texts, or strangers who keep on forwarding unwanted SMS text messages. Below is a quick rundown of FREE SMS Bomber apps for the Android and Symbian. For the iPhone, check out this guide there's not such an app yet available that works outside the box (no more jailbreaking). But I will sure update the list as soon as I get a working SMS Bomber app for the iPhone. Never again will that stranger or anonymous friend send you nasty SMS text messages with this SMS bombing app for the Android: SMS Bomber. SMS Bomber is one of the most controversial Android apps in the Market that allows you to flood SMS text messages in no time. pySMS is widely popular among Symbian users. 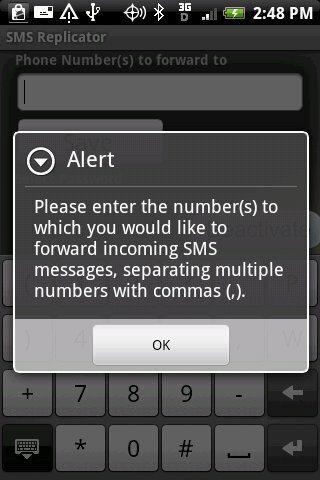 pySMS is an ingenious SMS bombing app designed for s60v3 Nokia handsets that allows you to "flood" to any mobile number. pySMS is easy to use; just specify the quantity of SMS to be sent and then choose spammer's mobile number. You can then "bomb" that nasty marketing guy who keeps on sending spam text messages. Best thing about it is that you can perform the flooding even if you're in the middle of the night soundly asleep. The only cons for this is that you can flood only one mobile number. pySMS is a Python app so you need to have a Python installed on your s60 device. 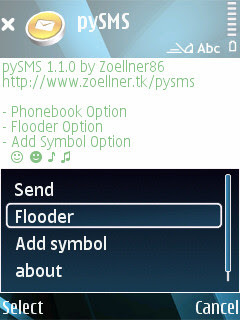 Download SMS Flooder for Symbian HERE. For the iPhone, you may want to check this nifty SMS Bomber iPhone tutorial from NextGenUpdate.com that should allow you to SMS Blast any phone numbers. There you have it! Free SMS bombing apps for the Android and Symbian. If you know any working SMS Bomber apps for the iPhone, iPad, Windows Phone, Blackberry, or even Java, please leave them as comments below and I will sure update the list. Enjoy! Let's face it: voice mail services are way too expensive and sure can hurt our pockets. Service providers today charge nearly almost half the cost of regular phone calls for just a simple replay/retrieval of voice messages left by your callers. But why you have to fork out another sum of money for voice mails when you can always turn your phone as a voice mail server and let your phone automatically answers all incoming calls? Surprise your callers with custom greetings, ask them to just drop their voice messages should situations disallow you to take any phone calls. It is likely that a friend or a working colleague may call you during working hours, meeting or class, making it impossible for you to answer their calls. 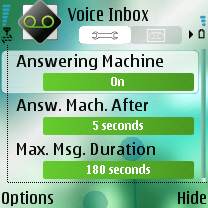 Voice Inbox is the good old piece of app that turns your s60 Symbian phone into on-device answering machine. With this app you can let callers leave voice messages whenever you're in a meeting, class, or you're out driving. The best thing about Voice Inbox is that voice messages are stored directly on phone's local storage, instead at operator's voice mailbox. When you receive a call, the application answers with your pre-recorded greeting and saves the voice message straight onto your phone. The neat interface of Voice Inbox allows you to create or change custom voice greeting, set caller waiting time before Voice Inbox takes the call, choose whether to play your messages/greetings on the loudspeaker or the earpiece. When VI plays your voice greeting to callers, your phone's microphone will be on, due to the technical restrictions of the Symbian^3 platform. This means that for the duration of your voice greeting, the caller will also be able to hear the sounds surrounding your phone. 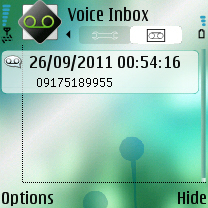 Download Voice Inbox for LG/Nokia s60 Symbian here. We have already seen how fast mobile technology changes and improves our lives. We have already witnessed how this tiny piece of device takes us to the next wave of portability and convenience. Today, mobile phones are not anymore used as an attraction device nor are they used as a communication device. Smartphones today are little too advanced that they’re even slowly killing those desktop applications we’ve been dependent for quite some time. Before I dive into the most advanced document scanner apps for the iPhone and Android, I am going to reborn this innovative solution of Nokia first. 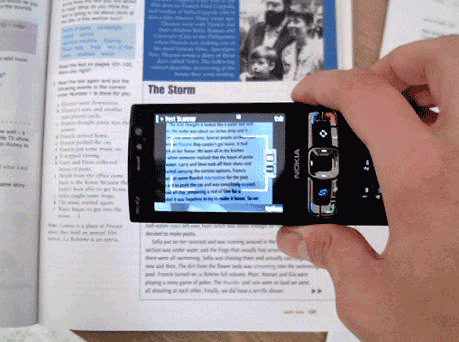 To the best of my knowledge, Nokia was the first mobile platform to produce a “working” document scanning software that can convert any text from a printed document and turn it into an instant eBook or PDF. The process is simple: just point your camera to the document or anywhere that has recognizable characters and let your phone do the magic. The application is called MultiScanner for Nokia, a free scanning software designed for Nokia Symbian s60 handsets. 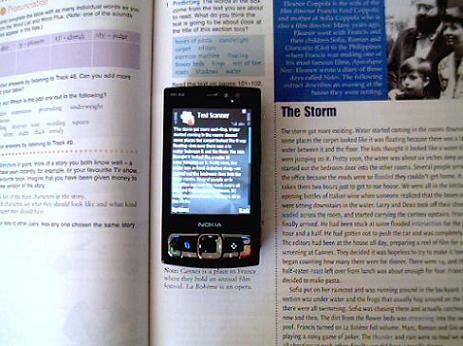 This application uses Optical Character Recognition (OCR) technology, making it possible for your phone to recognize texts/characters from any given printed sources such as books, newspaper, among others. By just simply pointing your camera to the paper documents, you can instantly turn any printed material into an instant PDF. Smartphones are great addition to every home security system. Whether you're holding an iPhone, Symbian or Android mobile phone device, you can use it to protect your home/office from intrusion and other form of attacks. The process is simple: just activate your motion sensor app installed on your phone, mount your device anywhere in your door, and when someone opens/breaks the door, your phone will fire a loud alarm and stealthly notify you or police authority via auto call or SMS. This is just one of the coolest things your phone can do for you. In this post, we're going to explore some of the best and top-rated motion detection apps for your iPhone, Android, and Symbian mobile phone device. These motion-sensing applications use the accelerometer or sensor built in your device. Stop any thief, a colleague, a friend, or your parent in their tracks. Alarms Security will sound one of the over 20 alarms provided by the app if anybody moves your iPhone or iPod Touch. You can also record your own sounds like "police is coming...". One practical use of this motion sensor app is to place your iPhone on top of confidential documents when you're taking a short break/nap. Some of the sounds included are: Self destruct initiated, police sirens, fire truck sirens, intruder alert, battle stations, chimpanzee, elephant, dog, fireworks, crying baby and many more! Title says it all. This iPhone app will trigger a super loud alarm when motion is detected. And the best thing about it is that it has a stealth auto call technology which will automatically dial and call a predefined number. You will hear what is happening near your iPhone when it is moved. You can use it both for security and fun. Get it here. Anti Touch is a free sensor app designed for s60 Nokia Symbian accelerometer devices. It throws a loud alarm when someone touches your phone. The alarm can only be stopped using deactivation code and the right phone position you've predefined. If you're entering the correct deactivation code but with wrong phone position, the phone will continue to alarm, and the thief cannot even shut the device off. For download and installation instructions, click here. 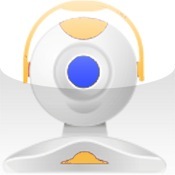 Don't Touch My Droid is a motion detector app for Android phones. This motion-sensing app is very sensitive to motion. You can use this app in hotel; activate "Don't Move My Droid " app and place your Android against hotel room door. If anyone opens the door your Droid will move and alarm will sound, waking you up. 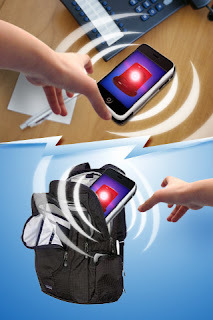 This accelerometer/sensor Android app can also be used to protect your valuables such as bags; just place your Android inside and alarm will sound if anyone moves your bag. Make your smartphone ever smarter by taking advantage of those amazing accelerometer/sensor based app for your iPhone, Android and Symbian device. Phone makers have long warned the buying public not to overcharge cellular phones. Leaving mobile phones plugged in wall outlets overnight is not only a big waste of energy and money but sure it's a 'big' kill of your phone's battery. Overcharging stresses both life of your battery and Mother Earth (and wallet). But how can you recharge your phone right (without overcharging) when you always arrive home late at night and all you know is to sleep like a log? Nearly all phones today can notify you with a "beep" when it's fully charged, but this builtin full-charge notification is little too silent to wake a man in a deep sleep. You surely will get up and unplug your mobile phone when charging is done with Green Charging. 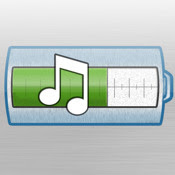 Green Charging is yet another must-have app for iPhone, iPad and Symbian that notifies you with a loud, nasty sound when your phone's battery is fully charged. Just run the app while charging and wait for the app to throw a loud sound when recharging is complete. Green Charging is compatible to Samsung and Nokia Symbian OS, Series 60 (s60v3 and s60v5) and iOS devices such as iPhone3, iPhone4, iPod Touch, iPad 1 and 2. Download Green Charging for Nokia Symbian s60v3, s60v5 here free. For iPhone, iPod iTouch, and iPad, download here. If you're looking for similar Green Charging app for Android, you may want to try Eco Charger for Android. As with Green Charging, Eco Charger notifies you with a loud audio MP3 sound when battery is fully charged. Just make sure you launch the app when charging, and sure it will suprise you with a loud sound. To download, search for "Eco Charger" at Android Market or download Eco Charger here. Leaving your phone in wall outlets - overcharged - is potentially unsafe both for your device and your property. Try any of these applications yourself and let me know what you think. If you know any other Symbian, iPhone, Blackberry, Android or Java app similar to Green Charging or Eco Charger, please do share them. Leave them as comments below. Enjoy! How do you like if your phone automatically puts to a silent mode when you arrive at school or church and then switches back to regular mode when you leave the place? How do you like if your phone auto notifies your mom via SMS when you’re leaving the house? How do you like if your phone automatically plays your favorite songs when you arrive home? Here’s a quick rundown of top-rated mobile applications that can automatically perform various actions based on your location. Actions such as sending of SMS text message, switching between profiles, and launching certain apps can now be fully automated using only your current geographical position. First off, this is not only for GPS phones. As long as your mobile phone operates in a GSM Network, you can still enjoy full automation based on GSM cells collected by your phone. GSMNavigator is a location-aware Symbian app designed both for GPS and Non-GPS phone. The application allows you to perform various actions depending on your location. With GSMNavigator, you can instruct your phone “what to do” when entering or existing a specific location. The first time you visit a place you may assign some actions “On Enter” which will be automatically performed by your phone the next time you visit that place. The same and other actions can be instructed to your phone “On Exit”. GSMNavigator is capable of automatic sending of SMS text messages and emails, playing your favorite music, changing profile, launching an application, and many other actions upon entering or exiting a location. GSMNavigator keeps detailed information about the places you visited (in the form of GSM Cells) so you can always see through to the places you visited the whole day. With that logged GSM information, you can then tag them with intelligible names (e.g. GSM Cell 125325 can be renamed as “School”) and assign specific actions such as putting your phone to silent mode “On Enter” and putting your phone back to normal “On Exit”. The nice thing about GSMNavigator is that it works even if your phone is not equipped with GPS. For more information, visit the official website. For Android, AutomateIt, Chronos and Tasker are three of the best applications you can install on your Android. Llama is a excellent app too. These apps work similarly with GSMNavigator; it lets you define a set of instructions/actions which will be performed by your phone in response to events such as location change, time of day, among others. You can use these location-based apps both for fun and security audits. If you want to know the whereabouts of your kid through SMS without him knowing, you can use these apps. These location-based apps for the Android and Symbian can also be used when you want to spy or catch your cheating boyfriend or husband. Your Smartphone is an intelligent piece of device so powerful that it can even make other devices obsolete. Today, you can use your phone as an alternative routing device, a computer mouse, a home appliance remote controller (just in case you lost your TV's remote controller), or a remote surveillance camera. Superphones like your iPhone, Android, and Symbian phones are remarkably extensible that you can even make simple things much simpler. Download cCalc for Nokia Symbian for free. 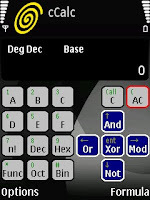 RealCalc is another free full-featured scientific calculator app designed for the Android. The app comes with a neat UI; easy to navigate and operates like the real thing. As with cCalc, RealCalc can perform advanced scientific notations, trigonometric functions and other commonly used mathematical functions. This is a must-have app especially for students who constantly miss to bring their own scientific calculators in school. Download and install RealCalc for Android here. The list of the best mobile scientific calculators is not complete if we cannot include this top-rated software of Infinity Softworks: PowerOne. PowerOne is an advanced mobile calculator app designed for the iPhone, iPad, Blackberry and Windows Mobile phone. Whether mortgages or real estate, finance and investing, math and science, medical, health, conversions or construction, powerOne has you covered. PowerOne combines an algebraic and RPN calculator with simple, customizable, spreadsheet-like templates, giving you hundreds to choose from. You can create your own, keep a history and share with others. Get it here. There you have it. I hope you can make the best use of your phone by installing any of these scientific calculators for iPhone, iPad, Blackberry, Android, and Symbian. If you can't make them work for your phone, you can also access online or web-based scientific calculators. Just open your mobile web browser of your choice then go to site's URL. When a friend is in a dire need of a phone, we do not hesitate to 'volunteer' and lend our device so he can start sending text messages or make a call. Well, that generous act of kindness is not actually a problem. Problem only starts when they begin to open certain applications and scan through your personal stuff (e.g. photos, videos, calls and browsing history) without your permission. Here we'll try to address this issue by exploring some of the best (and free) application that can smartly lock, password-protect certain applications installed on your iPhone, Android and Nokia s60 Symbian device. Everytime a user tries to launch certain programs installed on your phone (e.g. Mobile Browser, Image Viewer, Inbox) he will be prompted to enter a password. Check out these must-have applications for your Symbian, Android and iPhone to prevent others from opening certain applications and accessing your personal files. These applications can truly save you from friends who have this nasty habit of going through your phone and accessing your text messages, contacts and other pertinent information without your informed consent. ActiveLock is a lightweight Symbian application that allows you to lock selected applications installed on your phone using a password. The program comes with neat UI and is very easy to use. Just get your free (unsigned) copy of ActiveLock for s60v3 here [24kB], sign it, and install. If you have problem downloading it, just Right-Click > Save Link As. Send SMS text message? Don't type, just 'say' it! At first launch, you'll be asked for a passcode, just enter 12345 (that's the default, change it after). ActiveLock will then populate and bring you a list of applications you can lock with a password. Just check and uncheck the applications you want to password-protect, then activate. The nice thing about ActiveLock is that it works even if your phone has been restarted. So there's no way for your nasty friends to open the protected app even if they remove your battery. LockDown is yet another free must-have application for the iPhone that can help you protect specific applications installed on your phone. LockDown is available in Cydia and works perfectly on jailbroken iPhone OS 3.0. LockDown supports 2.x firmwares as well. Follow this guide for more details. For better firmware support, you may want to try LockDown Pro for iPhone. 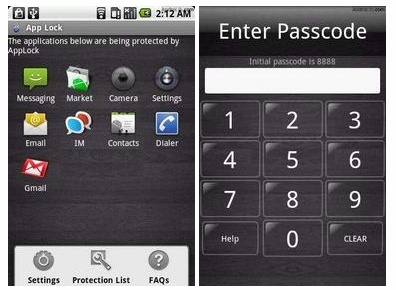 AppLock (lite) is a free Android application that lets you protect any applications you want with a passcode. 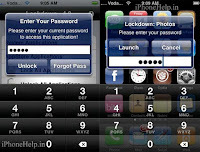 You can virtually lock all applications such as SMS, Email, Pictures, Calendar, and Web Browser. This is similar to App Protector Pro ($1.99) except that it's free. Download AppLock for Android here. Never again can your friend access your inbox, gallery or web browser without your permission. 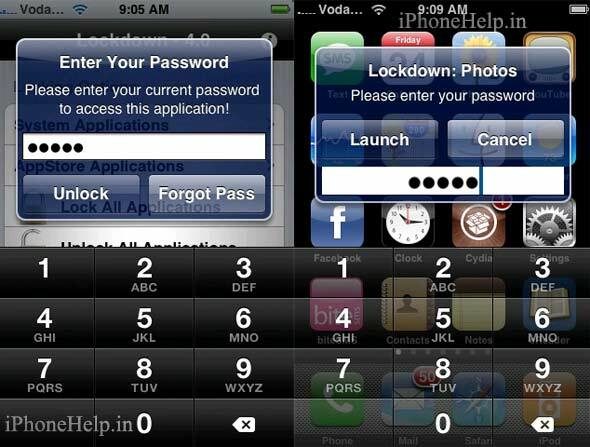 With these applications, you can password protect, lock virtually all types of applications installed on your iPhone, Symbian and Android. Thus, privacy is protected. Why type your SMS text message when you can just say it? Let's face it: using our keypad to type SMS text messages, notes or email is not always practical. Mobile phones especially the touch screen ones have tiny keyboards, making it difficult to type. In addition, speaking without a doubt is always faster as compared to typing. Welcome to the world of mobile voice recognition technology, a revolutionary way to input just about anything straight to your phone. With voice-to-text app installed on your smartphone, you don't have to fiddle through your keypad to input text. Now, you can just 'say out loud' your message with speech-to-text app for mobile! If you own a Symbian, iPhone, Android or Blackberry phone, this post is for you. Whether you text or tweet a lot on your smartphone, you will surely love VoiceMode, a revolutionary product of VoiceSignal that converts your voice into text. With VoiceMode, you just have to say what you want rather than having to use the keypad. With VoiceMode, you just press and hold a key and say what you want. When you release the key, you'll see your spoken words become text before your eyes! What seems to be interesting about this voice-to-text app for mobile is that voice recognition is NOT performed in the cloud. That means, VoiceMode doesn't have to constantly connect to a remote server to convert your speech into text. The typical voice-to-text mobile software collects your voice as input and digitally transfer it over the Internet to a remote server (where voice-recognition is performed), and then finally return the corresponding text in seconds. 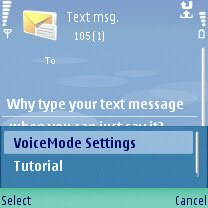 Thankfully, that is not the case of VoiceMode; this voice-to-text app for Symbian works out of the box -- just install, let your phone adapt your voice, and begin sending SMS text message, emails without having to type in your keyboard. You can use VoiceMode to add text to messages, notes, calendar entries, and even documents - almost anywhere that you can type. To download this voice recognition app for Symbian, just visit the official website or google it with search string "VoiceMode 2.0 for Symbian s60v3". Dragon Dictation works almost the same as VoiceMode for Nokia Symbian. Dragon Dictation is an easy-to-use voice-to-text application for iPhone, iPad that lets you to quickly speak rather than typing in your text or email messages. So when you are on-the-go, turn talk into type with Dragon Dictation - from short text messages to longer email messages, and anything in between. Get it at iTune App Store. 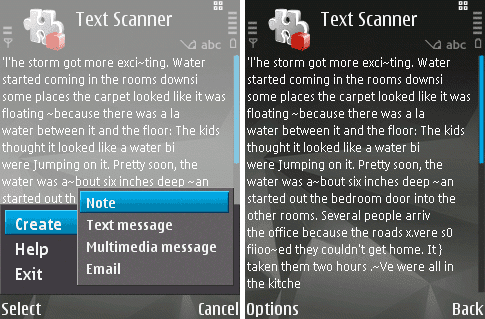 If you have Android device, you might want to check out FlexT9, another smart speech-to-text app for Android. It works out of the box, amazingly accurate, and works well both rooted and unrooted Android device. Visit FlexT9 official website for details. For voice-to-text app for Blackberry, visit Nuance Mobile Life, the leader in voice recognition technology. We all have our own methods of extending our phone's battery life. Things like dimming the backlight, closing unused applications, switching off bluetooth and wi-fi services when not in used, and auto-locking our phone are just some things we do to add few more minutes to our phone device. Press the menu key to show all your applications. Enable the Weekday and Weekend options and select the times that you want your device to turn off and turn on. If you're looking for ways on how to auto turn off your Nokia Symbian s60 phone, then, this app is for you. 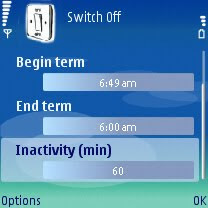 Switch Off is a free utility app that lets you automatically switch off your phone at preset time or after an inactivity period. This auto power off app is compatible to all Symbian S60 3rd Edition FP1 phone devices. I personally tried Switch Off on my device and it worked like a charm. SwitchOff.sis (unsigned) FREE download here [40Kb]. If you're looking for similar auto switch off app for Android, you may want to check out the latest version of Power Off. It's a tiny Android application that can help you to automatically turn off your rooted Android device. For iPhone, iPads, check out this tutorial How to Auto Turn Off iPhone at a Specific Time. It explains how to use your iPhone's clock function to put the phone in sleep mode at a set time in the future. Being able to automatically shutdown your mobile phone at later time can be useful in many ways. Not only can you use it to impress your peers but sure you can save power and extend your phone's battery life. Auto switching off your phone can also be useful when you want to auto switch off your music player while listening your favorite tracks especially during bedtime. There are several occassions when you need to backup text messages, SMS saved on your phone's inbox. If you're a seller, you might want to save a copy of every single text message/SMS being sent from your customers before trashing them off. If you're to format or hard reset your phone, you might want to export all SMS first into text file (.txt) and store it on your PC or email them for future use. SMS Export is a lightweight mobile application that lets you export all text messages into a single text file. Just run SMS Export, hit export and wait for the app to create a list of all text messages in Inbox and Sent folders. Data included in the exported TXT file include Message ID, Date(Time) Received/Sent, and Message Body. By default, the newly-created text file is saved in drive E. You should see a text file like this: e:\sms-messages-2011-06-10.utf8.txt. Text file is stored in drive C: if there's no volume in drive E.
SMS Export works well on all S60v2 and S60v3 Nokia Symbian devices. For S60v2, download it here. And for S60v3, get it here. This SMS exporting tool for iPhone and iPad may not be as good as SMS Exporter mentioned above. But this iPhone SMS backup tool is pretty useful especially for people who love free. With this SMS export tool for iPhone, you will be able to backup text messages/SMS into XLS, PDF or HTML format. To start exporting or backing up SMS/text messages from your iPhone, visit Free iPhone SMS Backup website or here. SMS Backup and Restore is an Android application that allows you export and import SMS text messages. This SMS export app for Android is useful when you're to perform a factory reset or install custom ROMs. The backup or exported file is stored in /sdcard/SMSBackupRestore folder by default. Backup format is independent of the Android version so the messages can be easily moved from one phone to another, irrespective of which version of Android it has. Tested with 1.5, 1.6, 2.01, 2.1, 2.2 and 2.3. For download and installation instructions, click here. Do you know any other free SMS backup tool for Blackberry, Java, Windows Phone? If so kindly share them as comments below. Why purchase expensive surveillance cameras, motion detectors and alarm systems when you can just use your camera phone to monitor and protect your home/office in realtime? In an attempt to demonstrate how smart and powerful your smartphone is, I'm going to share some of the most advanced and incredible mobile applications that convert your s60 Symbian, iPhone, and Android phone into an instant surveillance camera with full-featured motion detection and alarm system function. Think I'm talking about the most expensive sensor or accelerometer phones? That's a big no. As long as your phone's camera is in good condition you can instantly turn your phone as surveillance security camera that can perform certain SMS, call and internet function. ImageSpy is a must have application both for fun and security. It can be installed on any s60 Nokia device such as N70 (see full list of s60v1 and s60v2 devices). Download ImageSpy here. For s60v3 user, may want to check out SensyScan -- it works almost the same as ImageSpy. Dowload SensyScan here. surrounding area. If motion is detected, this Android app will send an email or an SMS/text message with a picture link to another cell phone, allowing you to remotely monitor an area using your Android phone. Motion Detector Pro costs only $0.99 and comes with better GUI and handset support as compared to its predecessor Motion Detector FREE version. 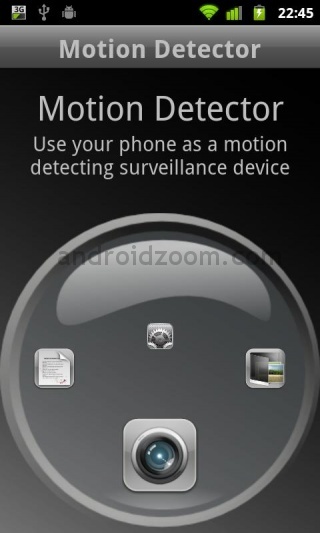 Download Motion Detector Pro for Android here. This $1.99 remote surveillance app for iPhone takes a photo from your iPhone's camera every 12 to 15 seconds, then posts it automatically to a local Web server that can be accessed from other computers via web. Download and install IP Camera for iPhone at iTune App Store. I hope I have just made every Symbian, iPhone and Android owner out there happy again! Extend the capability of your phone; install any of those motion detection app and see how smart your mobile camera phone is. If you enjoyed this post, kindly share it to your Facebook friends or tweet them! In my previous post, I demonstrated how to schedule SMS sending at later point in time. There I described how to automatically send future text messages to a group of numbers with predefined text messages. In this post, I'm going to share, yet, another cool mobile applications that can automatically respond to all incoming SMS with pre-formatted text messages. Such auto responding app is useful especially if you're out busy or driving. And me as a prepaid load retailer, I personally find such auto replier app useful because everytime my friends ask me for reload in the middle of the night, I would just activate my autoresponder app and auto notify them with custom message. Below are SMS auto responders that should work on iPhone, Android, Blackberry, Symbian s60 and Java phones. Take a look and let me know in the comments how helpful these applications for you. BlackBaller/BlackBaller Pro is an easy to use application by KillerMobile that can perform advanced call and messaging functions. This mobile application can automatically respond to all incoming SMS, text messages and even calls using predefined text message. This auto reply application can also blocks unwanted SMS, spams and calls. BlackBaller PRO is available for Nokia Symbian S60v3 and S60v5, Windows Mobile, BlackBerry and Android. Download BlackBaller PRO here. This is a smart auto response application for iPhone, iPad that can automatically respond to incoming SMS/text messages. The application lets you auto notify your friends or boss that you're away and busy at the moment whenever they send you text messages. Once activated, Don't Text Me auto reply text messages to senders telling that you are in a meeting, in class, or out for dinner and you can only take back the message by the time you are free. This is a must have application for iPhone and iPad. 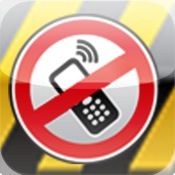 Download Don't Text Me at iTunes App Store. Makers of Can't Text Android app are inspired to reduce the alarming cases of road or vehicular accidents today. Can't Text enables every user to resist the temptation of texting while busy especially driving. Once activated, the application can automatically respond to the senders with pre-formatted messages. The application comes into two version: the free (ad-sponsored) and full version ($0.99). Download and install Can't Text for Android. I'm Busy SMS Auto Responder is your nifty virtual assistant. It automatically responds to SMS with custom message without having to touch your phone. I'm Busy SMS auto replier eliminates the hassle of responding to every message. Just activate "I'm Busy" and let the app do the work for you. The "I'm Busy" AutoResponder works on Blackberry's, Java, Nokia S60's, and phones with Symbian operating system. Download I'm Busy Auto Responder for Blackberry, Java, and Symbian here. There you have it. Hopefully you can pick and install a working SMS Auto Responder for your iPhone, Blackberry, Symbian, Android and Java phone. iPhone users, check out this guide how to easily send scheduled SMS without jailbreaking or additional software required. Are you forgetful? Do you often miss to send important messages to your family, friends, or officemates on right time? Well, if yes, then an SMS Scheduler for java, Symbian, iPhone or Android application comes to your rescue. One of the missing components in most mobile handsets today is the ability to auto send SMS messages at later point in time. A mobile application that can automatically send text messages at scheduled time is important especially for those people who want to plan in advance. With SMS Scheduler application installed on your iPhone, Android, Symbian or Java device, you can be the first to forward birthday greetings to your friends, or remind them for some important events. 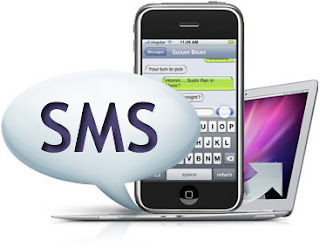 In this post, I'm going to share some of the best (and free) SMS Scheduler application that can be installed on most Motorola, Samsung, and Sony Ericson Java phone, s60 Symbian devices, Android and iPhones. Just compose a predefined SMS message, set sending date, and allow SMSScheduler to automatically send the predefined text message at the scheduled date & time. SMSScheduler requires the latest version of Python and is compatible to all s60v3 Nokia devices (list of s60v3 Nokia devices). Download SMSScheduler [12.2KB] for FREE and start sending important messages to important people at later date/time. If you're a happy owner of Android phone, never again will you miss to greet your loved ones on their birthdays or auto notify them for some important reminders. With SMS Scheduler for Android, you can choose to whom and when you want to send an SMS. Schedule your SMS and don’t worry anymore. You ’ll be notified when the SMS is sent and delivered. Free SMS Scheduler Download for Android. This is an SMS utility application designed for iPhone. BiteSMS is loaded with extra messaging features such as auto-sending of SMS at later time. The app allows you to schedule the sending of text message to a person at a particular date and time. This SMS scheduling application is great and easy to use. You can specify any future date and time for scheduling your text message. For more information visit the official site. Txtot is yet another killer app for the iPhone that lets you schedule your SMS text message and send it at later point in time. 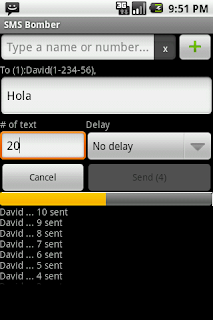 Txtot works almost similarly with SMS Scheduler for Symbian; write your text messages and set sending date and time. Good thing about it is that there's no need for you to jailbreak your iPhone. Download it here. If you don't have Android, iPhone or Symbian phone, then, this application is ideally right for you. This is an SMS Scheduler application especially designed for Java phones including Samsung, Sony Ericson, Motorola, etc. One major requirement to fully use this app is to patch your device so as to remove annoying pop-ups like "Allow application to send message?". Download SMS Scheduler for Java HERE. There you have it! Four must-have SMS applications to answer your SMS scheduling needs. I personally find these apps useful especially if I am to avail some call/text messaging promo which is often a headache especially if done during peak-hours. With SMS Scheduler app installed on my phone, I can do the registration process in the middle of the night while I'm soundly asleep. If you can think of any other SMS Scheduler for iPhone, Android, Bada, Symbian, or Java phones, please let me know by dropping comments below. Make your smartphone even smarter by reading these cool tips and tricks for your phone. I was looking for a running HTML/PHP editor for my symbian phone when a friend of mine got this S60 HTML Editor as his recommendation. This FREE Python mobile application is another simple but useful editor for HTML code (and even PHP) on Symbian smartphones. This mobile HTML editor allows webmasters out there to write and edit their HTML pages directly on their smartphones! S60 HTML/PHP Editor for symbian, or I must say notepad++ for mobile phone, comes with all the controls a web programmer needs. Such controls include Find and Replace function, Page Up and Down, among others. Complement your PAMP (Personal Apache MySQL PHP) with this useful and FREE HTML Editor for s60 mobile. A video capture application for mobile could be the next big thing in mobile computing in the coming years. Mobile Video Capture allows you to record your mobile screen activity with a simple UI that comes with all the functions/controls easily accessible even if the app is hidden or run at the background. Mobile Video Capture should work seamlessly on every s60 handset without a need of computers and additional hardware/software, and the recorded streams of data could be saved in a wide variety of video formats playable at every mobile handsets. The user should have the option to auto save all recorded data once the program is launched. Video Capture for Nokia and even for iPhone, Samsung, Sony Ericson, and Motorola solves the problem of showing some piece of information or tutorials that would be best learned if demonstrated in action with a short video clips. If you are to demonstrate some bits of "how tos" in your phone, it would be nice to have it seen in action. There may be only two reasons why a stand-alone mobile video capture application is not developed today. First, the implementation of such utility app is quite hard. And second, mobile developers today no longer find such video capture application a need. What About Video Capture Application For Mobile? Forward all your incoming calls and messages with Psiloc Total Forwarder. You can now automatically forward text messages to another phone with this revolutionary offer of Psiloc - Total Forwarder. Most s60 handsets of Nokia today have the capability to auto-forward calls to another number. And yeah, they work so well. But this call forwarding feature of Nokia is not always supported by a number of network providers today. Psiloc Total Forwarder solves this issue. Non only will Psiloc Total Forwarder automatically forwards all incoming calls to another phone number but it also forwards incoming text messages to another number. This is the safest way for you not to miss all important phone calls from your schools, company or a boss. With Psiloc Total Forwarder you do not have to carry all your phones with you any more. This is a must-have utility Symbian application for s60 devices. How to automatically forward text messages to another phone?